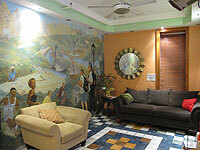 New York Inns is the best choice when seeking Manhattan extended stay Studios. Whether you�re relocating for business, have an extended work assignment, are studying abroad or moving to the city, New York Inns is the ideal choice for longer stays. Enjoy friendly service, rooms with kitchenettes, business amenities and much more for a very affordable price. 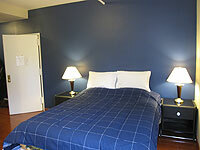 Our Manhattan extended stay studios are situated in premier neighborhoods across the city. From Union Square to the Upper West Side, Central Park and Murray Hill, our studios locations grant you access to the best of the city, including endless restaurants, businesses, entertainment, nightlife and much more. Preview the amenities at our Manhattan extended stay Studios. If you plan on staying 30 nights or more at one of our Manhattan extended stay studios, please fill out a request for proposal below. I hereby authorize BUILDING MANAGEMENT and/or their assigned credit bureau to obtain any and all information regarding my employment, checking and/or savings accounts, credit obligation, rental information and all other credit matters which they may require in connection to lease an apartment. This consent is effective for a period of six months from the date of this consent. This form may be reproduced or photocopied and that shall be as effective as the original which I have signed.